Garmin vs TomTom – which is better? - Which Sat Nav? 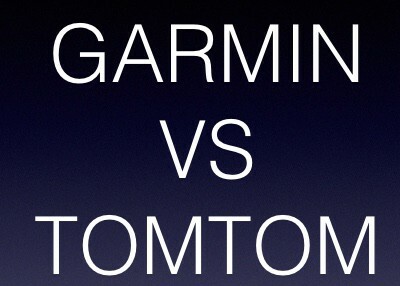 Home » Garmin » Garmin vs TomTom – which is better? 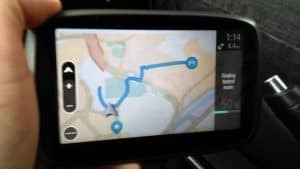 If your setting out to buy a sat nav unit then chances are you have already considered the following question: Garmin vs TomTom, which is better? I have used lots of devices from both manufacturers over the years, both as a consumer and as a reviewer and I still find it a difficult question to answer. Yes, Garmin is better at some things than TomTom but, the reverse is also true – TomTom is better than Garmin at other things. In all honesty, whichever brand you end up choosing you won’t go too far wrong. Both TomTom and Garmin produce quality devices that are fairly similar in their offering. As consumers we all take different factors into consideration when comparing products. We all place different levels of importance on these various factors when making our purchasing decision. Some factors will be far more important to some people than others – for example, not everyone will require Bluetooth integration. Whilst others may find this a deal breaker if it’s not offered with the device as they want to be able to use their phone hands free through the speaker. How then should we compare the two manufacturers and their various car products? As no two devices are the same perhaps the sensible approach is to concentrate on what your actual requirements are from a sat nav. Here are a few key questions that it may be helpful to consider when making your decision. How much do you want to spend on your sat nav? Both Garmin and TomTom offer a range of devices that will suit most budgets. Lets be honest, there’s not much point in looking at those top of the range devices that cost around $400 when you only have a $100 to spend. A more sensible approach would be decide on your budget. Then go and find a device that provides value for money and gives you the features you want. If all you want to do is type in the address and go then a device like TomTom GO 50 5-inch Sat Nav should be sufficient. 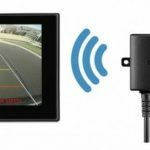 If on the other hand, you are looking for a top of the range offering (with an in-built dash cam) then the Garmin nuviCam 6-inch Sat Nav With Built-in Dash Cam could be just up your street. How easy is the sat nav to use? There are differences between the user interface of the Garmin and the TomTom. In both cases you begin entering an address and the device will prompt you with potential matches. Once you have chosen your destination the device will calculate the best route for you to take. It is possible to specify avoidance of toll roads and or motorways etc if so required. To be honest, despite having different methods both of their interfaces do the basics well. The searching, finding and the calculation of your route wis fairly straightforward. Some devices come with a huge range of options. This could make the interface a little more difficult to navigate and understand – making them perhaps not the best Christmas gift for granny! It’s also worth considering how quickly the sat nav finds enough satellites to get a lock onto your position. There’s nothing more annoying than sitting in the car waiting for the device to find where you are. Particularly, when you’ve only just loaded the kids into the car and they have already asked “when are we going to get there” a dozen times already! The speed that the unit calculates your route is also something to bear in mind and typically, the rule of thumb is that the older the device then the slower the route is calculated. In the past, I have found the TomTom to be quicker in finding my location and locking onto the satellites. In my experience it also seems faster at calculating routes, particularly when re-calculating routes if I have taken a wrong turn. However, I do prefer the interface of the Garmin as it provides a clearer screen and therefore a clearer picture of what is up ahead. Alongside the cost of the unit this is perhaps the most important consideration. Do you need maps for North America, the UK and Ireland or for mainland Europe? Thankfully today it’s becoming more common to get World Maps as part of the package. There may be an additional cost for these ‘extra’ maps however, it will future proof your device and enable you to drive anywhere in the world. It is also becoming more common to receive lifetime updates to the maps on your device (typically limited to 4 times per year). This means that the maps on your device will show those new roads that are being constructed or where perhaps the roads are being closed. As more and more devices begin to offer both of these options, Worldwide Maps and Lifetime Updates it becomes less of a distinguishing feature. 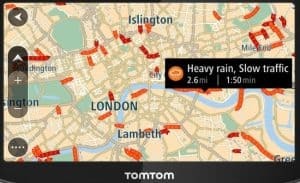 Many users have reported on various online forums that TomTom possesses better maps for European countries, whilst Garmin has the more accurate maps for the US. It’s difficult to ascertain the validity of this statement fully as I haven’t driven across the two continents using a TomTom and a Garmin. I can however, confirm that the Maps on both continents are great but it is important to ensure that your device is updated with the latest versions. Both manufacturers provide their own versions of traffic updates – TomTom Traffic and Garmin Digital Traffic. These are designed to provide real time information about the traffic situation on your route. This enables the driver to reroute if required in order to avoid a traffic jam. In my experience, the TomTom Traffic provides a better experience for the driver and is more accurate in providing information. This finding appears to be backed up by a study conducted by the University of Michigan in January 2014, where they analysed real time traffic capabilities of different navigational devices. They found that TomTom achieved the highest score when looking at the accuracy of traffic jam reporting – 67% for TomTom as opposed to 22% for Garmin. That’s quite the variance. I am certain that the University were completely impartial in their findings however, it is worth be remiss of me not to mention that the TomTom Group funded the study. Perhaps they knew for sure that their devices were going to come out on top with this feature! With all sat nav devices you can search for places of interest. This may be as simple as a search for a supermarket, a restaurant or even a tourist attraction in your vicinity. In my view, this is one of the features that sets some models apart from others. It’s hugely beneficial being able to search for “interesting” places without having to carry out a search on the internet. There are differences between the capabilities of Garmin and TomTom when searching for POIs. In my experience this feature with TomTom devices can be very generic. A search for a shop will bring a list of the larger stores in the search vicinity – for example when on holiday in France I’ll receive a list of the major supermarkets or main shopping centres. Likewise when searching for a restaurant, I am likely to get a list of the major fast food joints. Garmin on the other hand provide you with the ability to drill down into a POI for more information. A search for a shop will provide far more options and search categories. They have also taken it a step further and have introduced Foursquare inbuilt onto a number of their devices. This crowd-sourced platform provides the ability to search a database based on Foursquare user recommendations – find that restaurant that everyone is talking about! Voice Recognition – this option is great if you need to use the device without taking your hands off the wheel. The sat nav is activated once you speak your”wake up” phrase – it could be ‘Superman’ or even ‘teapot’. You can then speak to the sat nav and it will run through a series of menus and confirmations until it gives you your intended destination. Bluetooth Integration – with this option you can pair the sat nav with your mobile phone via Bluetooth. Using the microphone and speaker of the sat nav you may then make and receive calls. This option wouldn’t be necessary if you already have some form of phone kit or integration in your car. Speed Camera Alerts – this feature may be offered free for a few months initially before reverting to a subscription based service if required. Premium devices may even offer this feature as standard. This service will tell you the location of all speed cameras along your journey. Probably only a requirement if you have a number of points on your driving licence or you are on the road often. Before purchasing ask yourself the question: do I really need this feature and can I see myself using it? By asking this simple question you may save yourself plenty of money. Buy only what you will use. RESULT:DRAW – both manufacturers offer these additional options on a number of their devices. As such it’s fairer to look at them individually rather than collectively. Comparing these two manufacturers has been a difficult task as they both offer a number of navigational devices. Each of these sat nav devices are different to one another and offer something a little different. It is therefore a tough ask to compare like for like. By opting not to pit one device against another and by looking at the whole range it’s my hope that you get a clearer idea of the strengths and weaknesses of the two manufacturers. So, which is better – Garmin or TomTom? It appears that the answer depends upon your specific requirements. Again, I emphasise that you should set out how much you are willing to spend on a sat nav and stick to your budget. I hope that this website helps you pick a device with the features you need at the right price. Each manufacturer has some cracking devices but you do need to take your time in comparing them. With the cost of these devices dropping every year now is probably the best time to make your purchase. Here is a summary of the findings above that should help you in making your decision. Do you agree with my findings above or have you had a different experience with either Garmin vs TomTom? Either way, please feel free to comment below! Garmin nuvi 67LM review - Is it good value? Using devices like the ones you mention are definitely better than apps on a smart phone. There have been times when I typed in a destination and was taken out in the middle of nowhere. I also like how the devices provide traffic updates. Thanks for the TomTom/ Garmin comparison. I think I was on here talking about I wanted one for my car. But funny story I just found out my car has navigation built into it a couple days ago. I had my car for almost 3 months now. Smh. But I don’t know how the update works guess I have to tweak the settings. But anyways I always felt TomTom was the Nike of GPS. They were one of the first ones to be around and they still are they are very creditable and they are always improving. Did not know people still buying these things. Great niche site for sure. I think you might hit the top google rankings soon enough. I use my phone a lot because Im on a tight budget so cannot really afford this stuff. But you sure write compelling to the eye and engaging to the audience. Great work and keep it up! I enjoy your practical & simple approach to sat nav systems – Effectively reaching your destination is most important aspect of them all. Thank you for your effort, a lot of helpful information here! Excellent comparison tables between Garmin & TomTom. Really good job! I’m not too big sat nav fan myself, so it’s absolutely great to know which one is easier to use as beginner. I believe it’s also definitely a good benchmark for more experienced users to move up to more advanced model for additional options. All in all, great stuff in both cases & thank you for sharing your experience with us to make sure that I won’t end up in middle of nowhere. I’ll be back for more.. I tend to prefer Garmin or Navman as they use the Navteq maps. What do you think? Thank you for this usefull information. I already have a TomTom, but I’m thinking of getting a Garmin as my next device. It’s like you said, Garmin has more accurate maps for the US, and I’m planning to make a big trip to the US (I’m from Europe). I don’t think I trust my old TomTom that much, unless you tell me otherwise. Do you think I can just update my world maps on my old device or do you suggest me to buy the new Garmin? Really glad somebody is still reviewing these products – I actually went to the store to pick up a TomTom recently, and the clerk told me they don’t carry sat nav devices anymore! He mentioned something about the rise of GPS in cell phones, and that kind of set me off. Don’t get me wrong, it’s great that cell phones have that capability, but I’ll always prefer a good Sat Nav device – Bigger screen, better accuracy, and actually easier to use hands-free (No calls popping up, no texts, etc.). I’d heard of Garmin quite recently, actually, I didn’t even know they existed before. I’ve always been a TomTom guy. I’m based in the US, so Garmin might actually be better, but I also really do need good voice recognition as well (Hands-free driving is critical for me). Can you recommend a specific model? My budget is around $250. I came across your site as my friends and I were arguing over which GPS is best. I have a TomTom whilst he has a Garmin……..I guess we’ll just keep arguing about it! Thanks for the info. I have been considering getting a satnav device for a while now. I have seen that these two brands, Garmin and Tomtom are the biggest ones, so I was undecided which one to get. The features that you covered gives me some food for thought. I had thought that it would be easy reading this review to decide one over the other. I think though that I would go with Garmin as by you it is the easiest to use. To me this is the most important factor to consider. So thank you for making my decision easier. 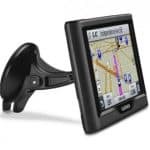 I am looking to get a new SatNav to replace my Garmin 2390. This has the built in mobile chip so has (had) features like sending data to it over the air, petrol prices, traffic and useful to me a tracker where I send an email from the device and recipient can see where I am for a period of time. Garmin have now decided to turn off/down the nuLink services (still sent me a renewal notice) which removes many features. But their new models want to pair to a smart phone which I neither have nor want (I don’t have my own mobile at all), so now looking at the upcoming TomTom x200 series. I have used Garmin for some years now and the prices of the TomToms are high enough to want to get it right. I need a sat nav so my wife can get around in the city & suburbs as she’s not good with directions. She needs to have a good clear voice directing her as she’s not good at following map directions & is weary of taking her eyes off the road. What would you recommend for her needs? Great site! I live in Canada and I’m an uber driver that depends on mobile gps app which fails quite a bit. Which device has the best up to date maps for Canada? with bluetooth capability.